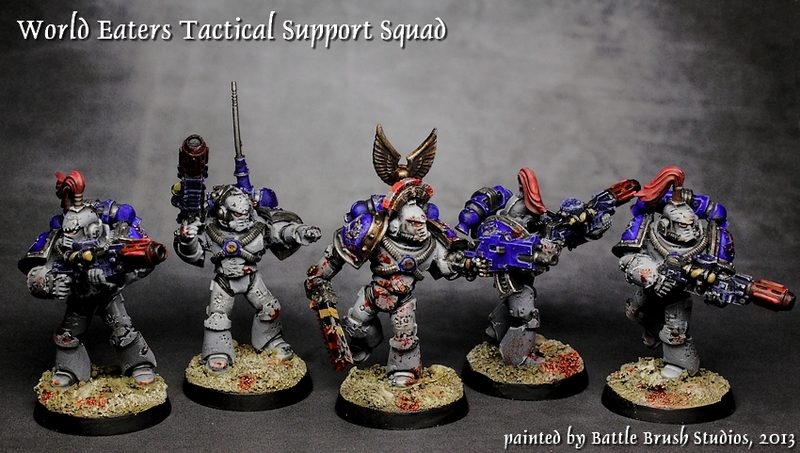 Here's a bit of an oddity from the Space Marines Legion army list, the Tactical Support Squad (troops choice). They're essentially Dominions. 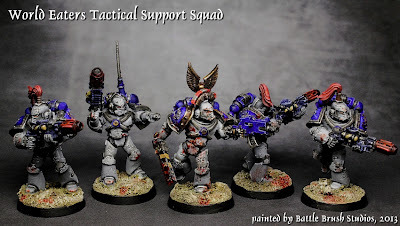 A neat little squad and it's always nice to see comms guys in 40k squads. Thanks for your feedback on the Riptide survey by the way. I'll see that I can get some more work done on that fella very soon but an emergency commission came in so at least painting on the Riptide might be delayed a bit (yeah, shock horror ;) ).